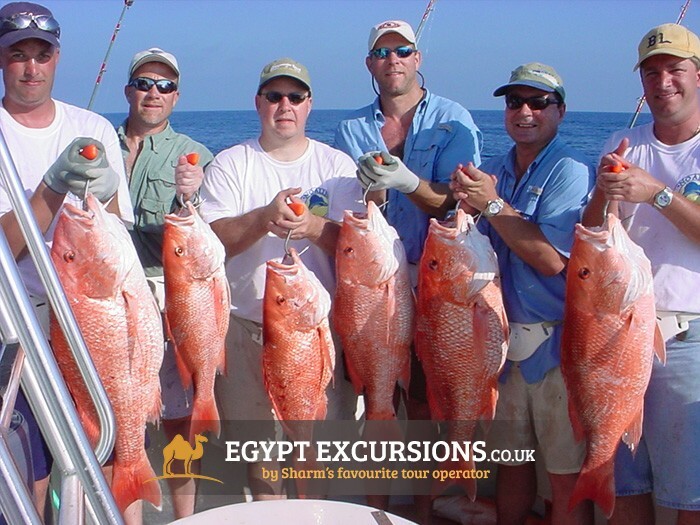 Make the most of Hurghada's famously good fishing on our Hurghada Fishing Tour. 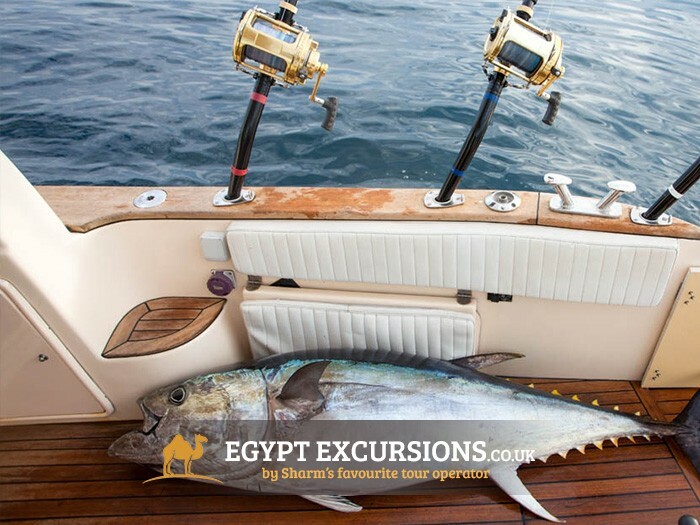 Perfect for solo guests or the whole family, your crew will be at hand throughout the day to prepare any fish you would like cooked for lunch at the best fishing spots of Hurghada. 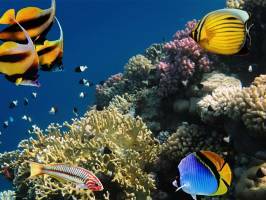 Hurghada is famous for it's water-based sports including diving and even more so, Fishing. 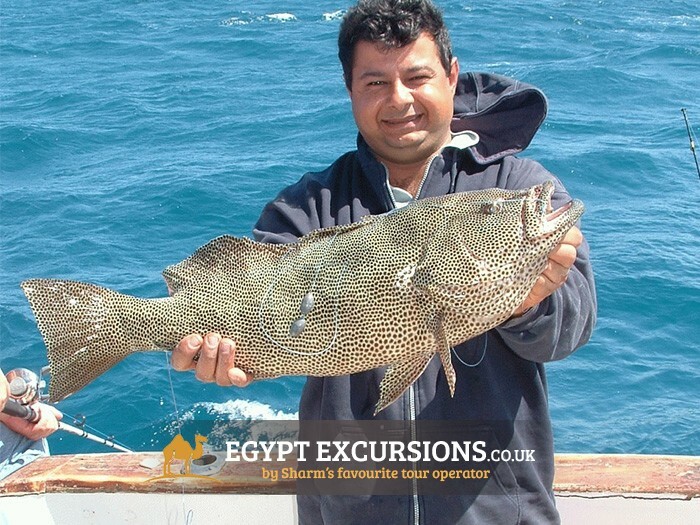 Make the most of your holiday in Hurghada and book a day of fishing in the Red Sea on our fantastic fishing tour from Hurghada. 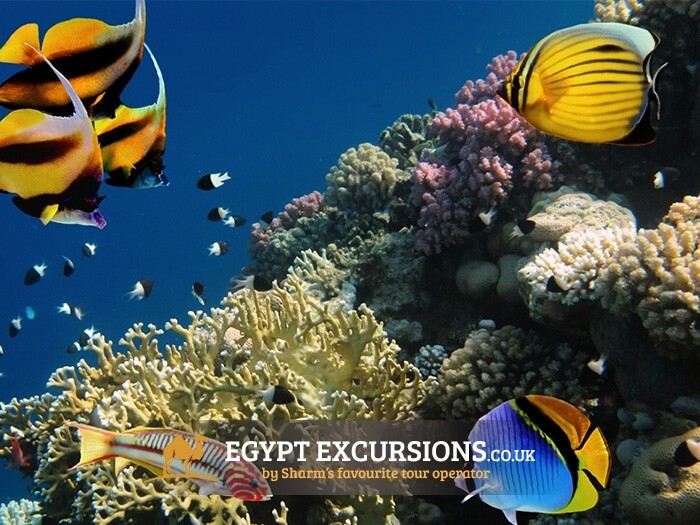 We'll pick you up from your hotel in Hurghada at 8am in a comfortable, air-conditioned mini-bus to start your unforgettable day at sea. 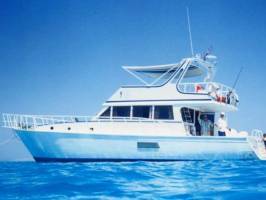 From your hotel we'll drive to the jetty where your experienced crew will be waiting for you as well as your well-equiped, purpose-built fishing boat. After meeting our famously fun, friendly and very experience captain its time to set off and wet the line! 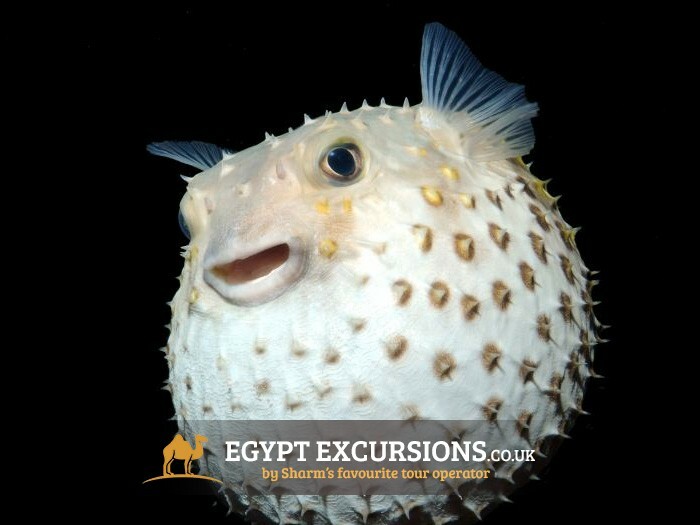 Our fishing trip from Hurghada will explore 2 different yielding fishing spots where you'll benefit from the abundant fish stock provided by the rich Red Sea all year-round. 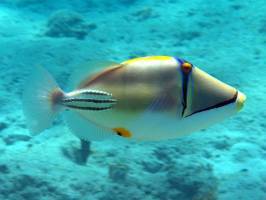 When we arrive feel free to jump in with the beautiful fish to see them up-close and personal as you snorkel amongst the massive selection of fish from Yellow-Fin Tuna to Barraccudas and Emporor Fish. 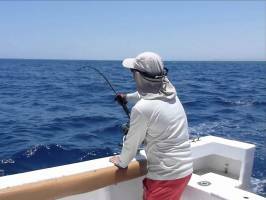 If you fancy taking a break from fishing at any time throughout the day, find a comfortable spot aboard your boat either in the shade or out in the sun and make the most of your time at sea! 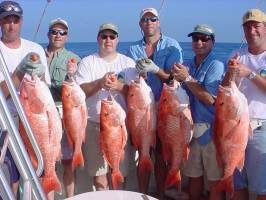 Between fishing locations we'll serve a delicious fresh lunch aboard the boat, accompanied by any suitable fish you have caught and would like prepared by the crew! After a fantastic day at sea fishing for Hurghada's wide selection of fish we'll head back for land, dropping you back off at your hotel for 4pm. 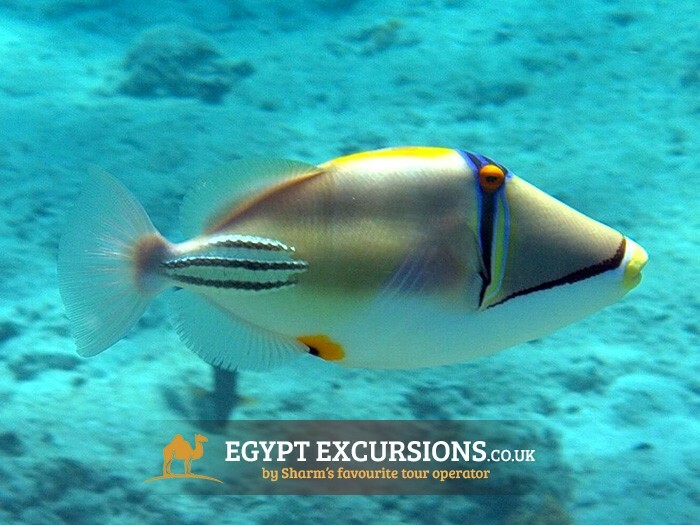 All year round the waters surrounding Hurghada provide a wide range of fish, although the very best fishing season is December-March, and May-October. In March and April, it's the season for yellow fin tuna fishing. 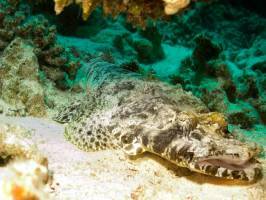 Starting May, the renowned season of the emperor fish, grouper, saddle grouper, moon tail grouper begins. 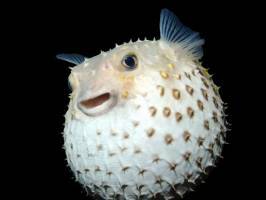 In the winter months - specifically December through February - the floating fish season is popular. 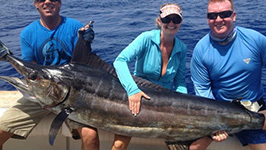 King fish (wahoo), dolphin fish (mahi mahi), barracuda, giant trevally and tuna are mainly caught using the trolling techniques. 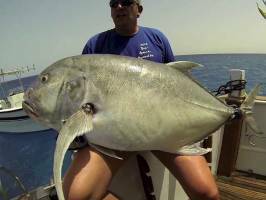 Red Sea bream, red snapper, king soldier bream are caught using the deep still fishing technique. 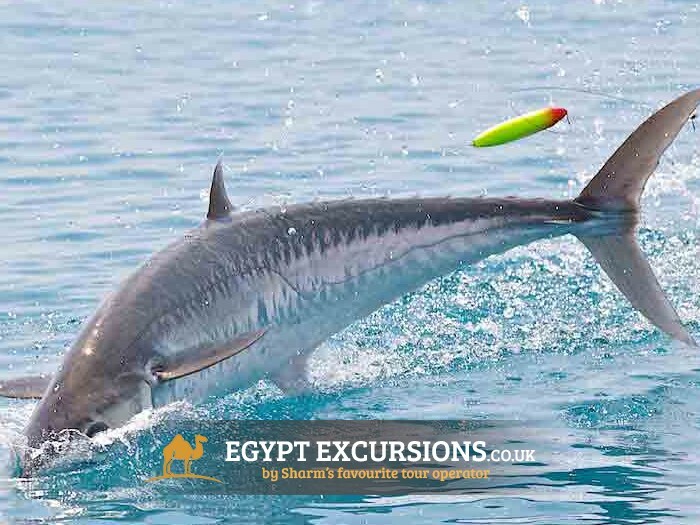 This was our second holiday in Egypt and we were desperate to try Hurghada's famous fishing whilst we were there. 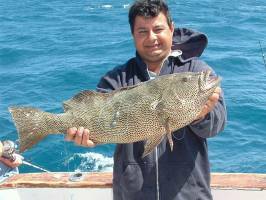 The fishing trip was well organised, captain very friendly and the fishing was simply immense! 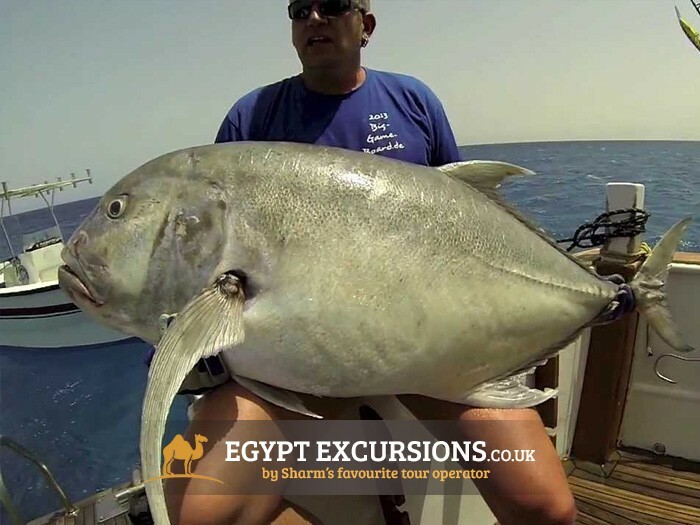 Being from the UK, we had never fished anything as big as the tunas and barracudas we were catching in Hurghada - they were absolutely enormous! 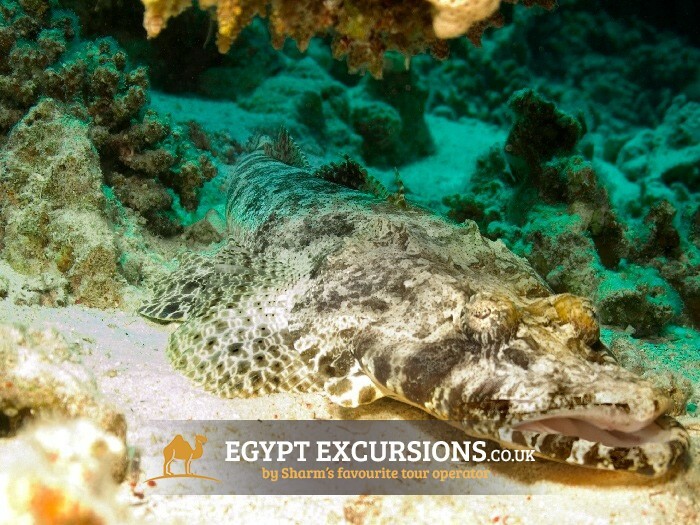 A fantastic day by Egypt Excursions, we would definitely book again. 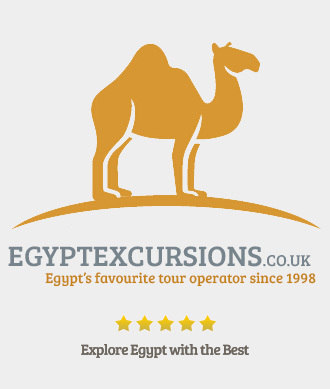 Egypt Excursions are a web-based tour operator, the massive savings we're able to achieve are passed straight on to our customers meaning our prices always up to 60% cheaper than other tour operators prices. 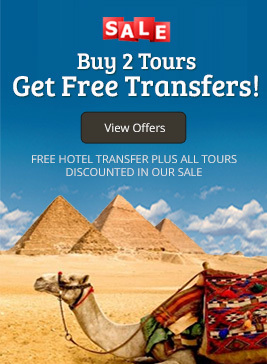 Our fantastic prices, along with our unequaled customer service has helped us become Egypt's favourite tour operator. 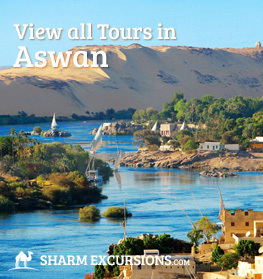 As soon as you book online you'll receive your booking confirmation. 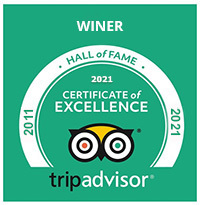 Once our booking department has double-checked your order we'll email you pick-up times and for your trips. 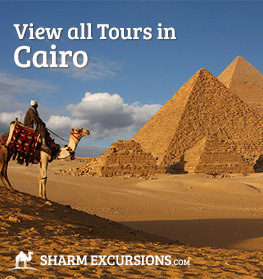 We recommend you print out and bring your confirmation with you to Egypt as a reminder of your itinerary. 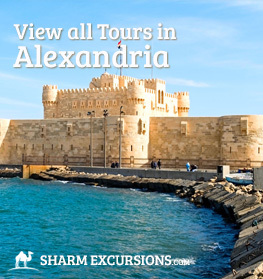 Yes, as part of our commitment to giving you a fantastic experience on every tour with us, all prices include transfers to and from your hotel. 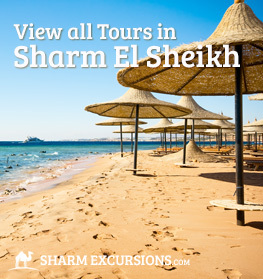 This service includes all hotels in all of Egypts holiday resorts including Sharm El Shiekh, Hurghada, Aswan, Alexandria, Cairo and Luxor. 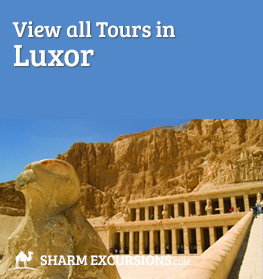 The remainder of the payment will be made in Egypt, when on an arranged date that is convenient for you a EgyptExcursions representative will meet you at your hotel to collect payment and assist you with anything you may need.